‘Kill the Moon’ that’s the moral debate we were given this week, to kill the moon or let it live. It turns out the moon is in fact, an egg. If you let the egg hatch it might destroy all humanity, you can save the world but it would mean killing the unborn creature. Ok, if you thought the last two sentences were in any way a good idea for a story, don’t bother reading any further. Moral choice arguments are pretty cool. Games such as Telltale’s ‘The Walking Dead’ are entirely comprised of making decisions that you feel awkward about making. ‘Watchmen’ ended with a moral debate that has lived on in comic fandom since its original publication in 1987. Done correctly they should split the audience on what they think, make them argue about it. ‘Done correctly’ being the issue, when not done correctly the moral choice requires no debate, it’s obvious. It stops being a moral choice and becomes a hard decision, which is not the same thing. Now let’s imagine for a second that we have a hypothetical choice between saving an elephant or an ant colony. As a human we have that choice, one elephant life vs the thousands of the ants. Now as a human, mammal loyalty and the slightly dubious concept that intelligence = worth of creature, we will save the elephant. Now imagine that same choice, elephant vs ant colony, if we were an ant. 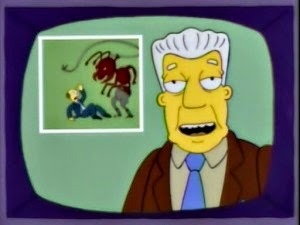 Not just an ant, but an ant living in that colony that may be destroyed. Would that be a moral debate? In ‘Kill the Moon’ we are given that exact choice of saving the creature living in the moon at the possible expense of the billions of humans living on earth. We should also add to the tally the billions of species of animal and plant that also live with us, elephants and ants to name but a few. 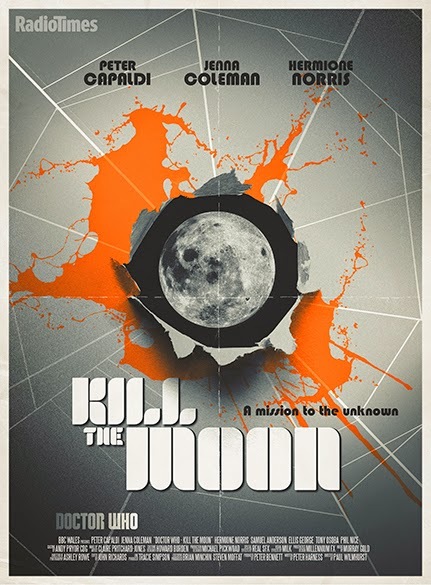 Now the first twenty minutes of ‘Kill the Moon’ establish how bad it would be for the moon to explode, how it may kill everything on the planet. The discovery that the moon is an egg doesn’t change those facts. 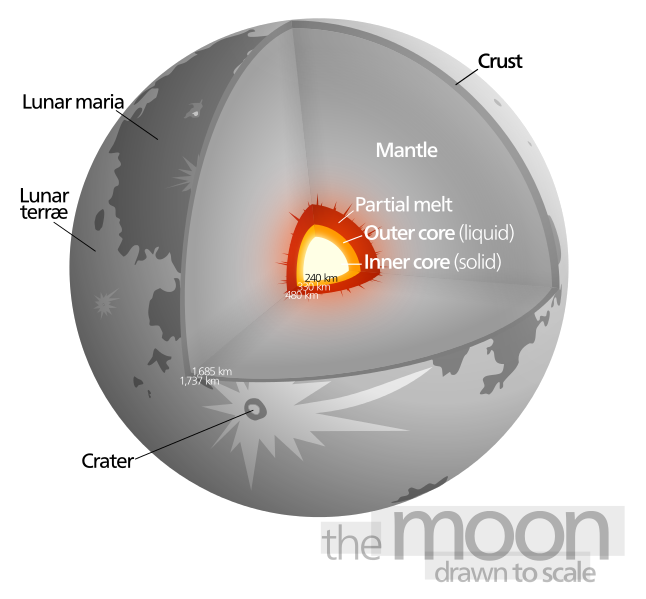 It doesn’t change the damage that the hatching process and hatchling itself may do to the planet. Yet when Captain Lundvik asks “How do we kill it?”, she is treated like a monster. “Why do you want to kill it?” and “It’s a little baby”, Clara and Courtney’s horrified reactions. I guess to save the planet and all life on it isn’t a good enough argument? Now it’s time to address the elephant in the room. Now the elephant in the room isn’t my continual references to elephants in this review but the pro-life ‘subtext’ to this episode. Should a woman abort a baby to save her own life? Should she make that decision or society? These are all debates I’m not going to get involved with but apparently a publically funded, politically “neutral” broadcaster thought they were a-ok debates for a Saturday evening family entertainment show. Anyone who questions if this was actually the theme of this episodes only needs to notice that the choice was left to three women, all of different ages. Not only that, but they argued about the respective value of the babies surviving on earth vs the space baby and if Clara wanted to have children of her own. Obviously abortion is a pretty hot topic, one that divides people. Personally I believe that women should be able to choose what happen with their own bodies but any further statements than that and it becomes a far more complicated and difficult subject. Importantly it’s a debate where I can completely understand both sides, both have a complete right to their opinions. Importantly it’s a very morally grey area, one that is difficult. I don’t think it’s the kind of topic you should be handling with a space baby that lives in the moon, call me crazy but I don’t think it’s appropriate. Personally I’m more offended by the terrible creative decisions that this episode made, than by the topic being in it but this kind of right wing fuelled rhetoric really shouldn’t be on the BBC. It is culturally offensive and I don’t say that often. Now moving back to the episode, Clara gives the choice over to humanity. She asks them to switch off their lights if they want to kill the moon, leave them on if they want to take the risk. I like the fact that this poll is only given to the side of humanity facing the moon and those with electricity. I also like the fact that having voted to kill the creature, Clara decides to ignore them all anyway. I guess she’s trialling Hong Kong’s new democratic system. Why does Clara feel she has the right to outvote millions of people? She turns out to be right, but what if she hadn’t been? Also what if the lights had been half on and half off, was she going to count them individually? Now I’ve been wrapped up so much in the massive story issues with this episode that I’ve managed to ignore the massive logic issues. Firstly the moon isn’t an egg, it’s been extensively surveyed, it’s rock and a fair bit of helium. Secondly eggs don’t gain weight; all the physical matter that makes up the creature is stored within the egg. A freshly laid egg will weigh as much as the chick, snake or whatever it is that eventually hatches. Even if the spider things had been feeding on the creature, the only new weight to the moon would have come from the 4 Mexican astronauts. I highly doubt the astronauts combined weight added the additional earth destroying mass to the moon, unless the Mexican space program have horrifically obese crew members. Thirdly, how would a creature lay an egg that is larger than it is? Firstly we have to assume that the moon creature was born pregnant. So now we have an egg that hatches, birthing a creature that contains an egg of the same size that will also born pregnant? Fourthly, the sea water is still moving during the moments between the two eggs…How is the water moving without the moon? I appreciate that the tides are not only dictated by the moon but it’s a pretty important business partner in them. I doubt very much the water would be moving normally in this kind of situation. 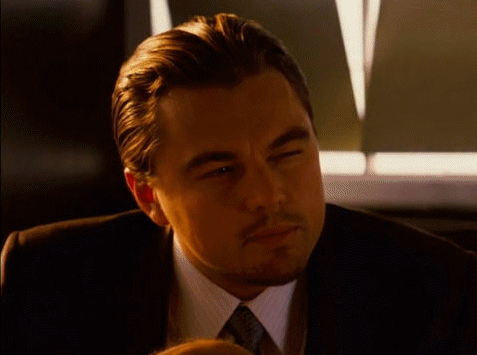 Now plot and science issues aside, I still haven’t covered all the dumb stuff that just seems to litter this script. Clara is angry that The Doctor won’t tell Courtney that she’s special. A: What makes her special? B: Why would she being “special” make her a better person, more worthwhile? I appreciate that she is trying to say that humans have worth but she’s also angry that he thinks of her as just being another human and not treating her as if she’s special? It’s really weird to have a pro-life debate surrounded with the idea that some people are more worthwhile than others. “My Granny used to put things on Tumblr” Ok, so Hermione Norris is 47 years old. Let’s assume her character is about the same age. ‘Kill the Moon’ is set in 2049, making the character Lundvik born in 2002 approximately. So let’s say her mum gave birth to her at 18, making her mum born in 1984. Now let’s say her mum, the granny in question, also gave birth at 18. That would mean that the granny was born in 1966. Now Tumblr was launched in 2007. So this granny presumably started using Tumblr in 2007 at the age of 41. But Lundvik’s mum, aged 23 at the time, completely ignored it? Wouldn’t the line “My mum used to put things on Tumblr” have made about a million times more sense? Oh well! Ok so what was good? The Jurassic park spiders were ok. The idea of fighting creatures that can walk on walls in zero gravity is really cool, I like it a lot. I liked the Doctor and Clara’s argument, although I didn’t like the change in personality the Doctor had to undergo to allow it to happen in the first place. Clara had something to do for once and gave a pretty good performance. I liked The Doctor viewing the future as something unwritten and impossible to see. Hell, even Danny Pink was ok for once. I honestly can’t understand why anyone would like this episode. Yes it has big ideas but they were dumb ideas, dumb ideas that they managed to handle badly. Social debate aside abortion is not an ok subject matter for Doctor Who. I don’t like putting down rules on what should or shouldn’t be tackled in a narrative but some issues require a lot of care, time and adult discussion that the format and time slot simply doesn’t allow. Even if you can completely ignore the crass handling of the subject matter, the script is still full of narrative craters even if you allow for its own internal rules on society and science. When it comes to ‘Kill the Moon’, it should have been aborted a long time ago, no debate needed.